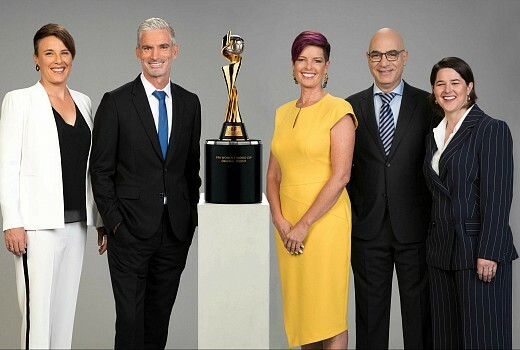 SBS has announced its line-up for the 2019 FIFA Women’s World Cup in June. Sports journalist Tracey Holmes, former Socceroo Captain, Craig Foster and Matildas legend, Joey Peters will host from Sydney. Live commentary from the stadiums in France will feature broadcaster David Basheer alongside former Matilda Sarah Walsh, who will have exclusive access to the Matildas camp throughout the tournament. Coverage will begin with the opening match on Sunday, 8 June from 4.00am AEST as France faces Korea Republic. SBS will feature all Matildas’ matches live and in HD on SBS, as well as the opening match, all Quarter Finals, Semi-Finals and the Final. I fully agree. The standard of play from the W-league and thus The Matildas has improved considerably since its conception. Unfortunately the games will be played when most of us will be in bed so the record button will be put to good use. I assume this will affect ratings as well. All games are on Sky also. Great to see the women’s game getting the respect it has long deserved….Thank you SBS.